High-intensity training (HIT) and extreme conditioning programs (ECP) are becoming increasingly popular among civilians and service members. HIT/ECP use a variety of training methods, including repeated body-weight exercises, resistance training with barbells and kettlebells, explosive movements, sprints, and flexibility training. They usually pair intense exercises with brief recovery or rest times—which can promote fatigue and loss of proper form—and eventually lead to overtraining injuries. HIT/ECP are effective at improving aerobic fitness and strength. They also tend to involve more functional movements than other training programs. However, HIT/ECP must be taught properly, especially to those who are less fit or inexperienced. The focus should be on form over time-to-completion to prevent injuries commonly associated with HIT. When these programs are performed in a military-group setting, less-fit participants can easily overreach their capacity and become injured while trying to keep up with others. The overall message is clear: Proceed with caution. Learn the basic movements and focus on gradual progression when beginning any HIT/ECP. Get cleared by your healthcare provider before beginning any new program. And don’t ignore pain at any point during your training. Is there a difference between exercise and physical activity? Do I need both? 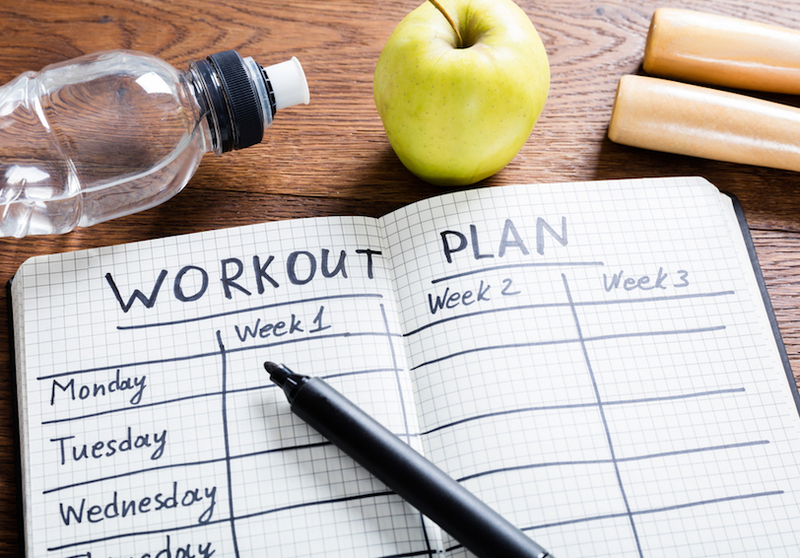 How much exercise should I do weekly? Can I do weight training and cardio on the same days?